When it comes to champagne, there are few brands which compare to Veuve Clicquot. Whilst its color may have similar hues to my hair, its taste is simply unmatched. 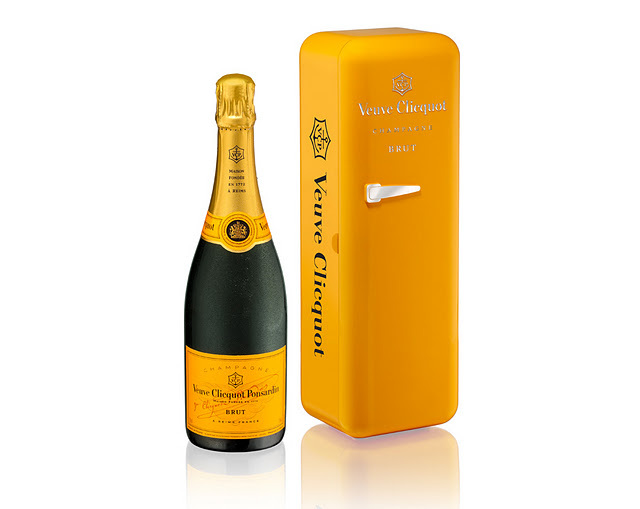 Now due to its global success, the innovative Veuve Clicquot “Le Fridge” Yellow Label returns for the 2011 summer season. Recalling the very chic design of the fifties SMEG refrigerators, the fridge will allow you to take your bottle of Veuve Clicquot Yellow Label anywhere, while keeping it cool for up to two hours. Genius. Veuve Clicquot 2011 Limited Edition “Le Fridge” Yellow Label NV is available from October in Dan Murphy’s Wine Store nationally.